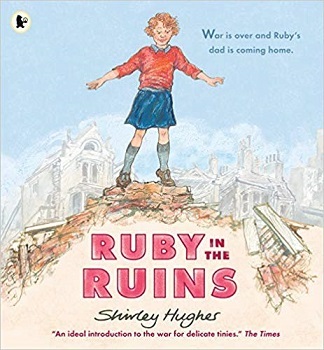 Ruby in the Ruins tells the story of little Ruby in the days after the ending of World War Two. For so long it has just been her and her mum living in London, cowering each night in bed together listening to the bombs dropping around them. Her father was a soldier and in some foreign land fighting for his country. When the war finally ended and Ruby’s father returns home she doesn’t really remember him. He’s so big and takes up so much room. There is no longer the nightly cuddles in bed with mum, she is in the drafty and cold attic room. Ruby is happy to have her father back but struggling to make a re-connection with him and also it came across that she felt like she had been pushed to the sideline now her dad was back. It’s very easy to understand how little Ruby felt. She’s lived through some horrific times just her and her mum, through no fault of theirs or her fathers. So when he returns Ruby knows he’s her dad but he’s also a stranger. She feels uncomfortable and although she is glad he is home she doesn’t know how to act around him. For her father too. This is a man who has been through some horrendous years, possibly having to do things he never dreamed he would have to do or sights he would have to see. The war is over and he’s no longer being ordered about, fighting in a war zone, he’s back home in the quite of his home with his wife and daughter. He too most likely felt like they were strangers. This book is about exploring these feelings and understanding how it was for both Ruby and her dad. Eventually, something happens that brings the pair together and it was lovely to see that bond between the two return. 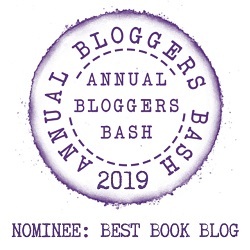 The old fashioned illustrations really bring this story to life and make all the emotions easy to detect as well as invite you into the past and to London 1945. Shirley Hughes is the illustrator of more than two hundred children’s books and has won many prestigious awards, including the Kate Greenaway Medal twice. She is the author-illustrator of DON’T WANT TO GO! and OLLY AND ME 1 2 3. She lives in London. Such a gorgeous book. Love your review. Thanks. The book is so lovely.